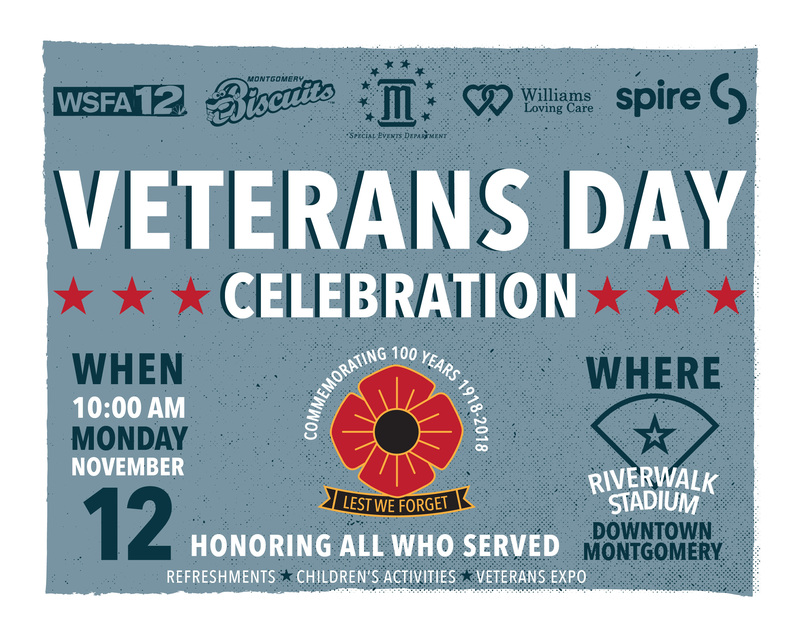 Come to Riverwalk Stadium on November 12 for the City of Montgomery's Veterans Day Celebration. 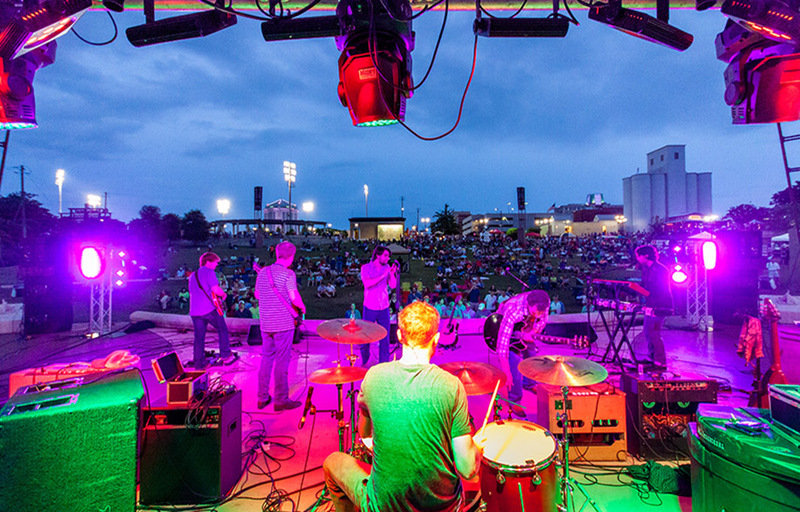 This event will honor our veterans and active duty service members and their families with music, pagentry, flags, bands and tons of special guests! Many vendors, static military displays and historic vehicles will be on-hand at Riverwalk for the celebration. Honoring all who have served in the armed forces from the River Region and beyond, the event will feature a veterans' procession beginning about 10:30 a.m., followed by a ceremony with music from the Capitol Sounds Concert Band and remarks by Air University Commander and President Lt. General Anthony Cotton. A C-130 flyover will follow the National Anthem, and a moment of silence at 11 a.m. will honor the veterans who have died in service of our country. Following the presentation, all are invited to the concourse for hot dogs, beverages and a cake commemorating the 100th anniversary of the World War I Armistice. Attractions will also include a free expo featuring historic military vehicles as well as information booths on veterans’ benefits. There will also be games, jumpers, face painting and balloon animals for children. Gates open at 8 a.m., and parking will be available at the Biscuits' parking lots with shuttle service to the stadium running from 9 a.m. to 3 p.m. The event is free and open to the public thanks to sponsors Spire Energy, Williams Loving Care, Montgomery Biscuits and WSFA. For more information, call (334) 241-4400.